In the spirit of Slow Travel, we rented a flat in Barcelona for six weeks and took our time exploring the city. We saw lots of art, found some favorite spots, went on a few day trips, got robbed on the metro, and ate lots of tapas. 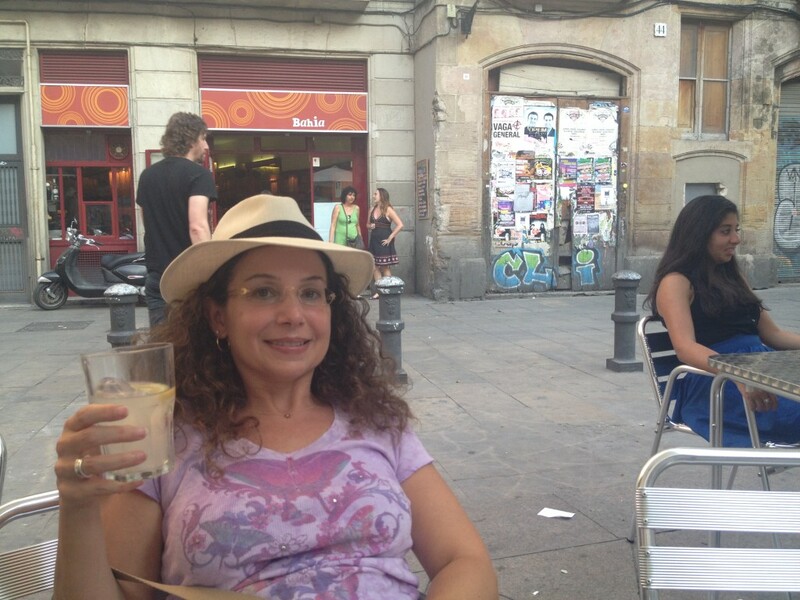 After starting the summer of Spain in Madrid and Ibiza, we headed to Barcelona. We arrived the day before the Festival of Sant Joan, summer solstice celebration, which was a nice surprise. On this two day festival, it seemed like everyone (including kids) got their firework fix by setting them off just about everywhere (really). On June 23, there were neighborhood celebrations throughout the city. We checked out the intimate gathering down the street in front of Sagrada Familia where there was a drum band and food. Then we headed to the big celebration at Barceloneta beach. It was a great way to kick off our six week stay. Like many European cities, Barcelona is divided into neighborhoods with different personalities. Here are some of the more popular neighborhoods for tourists. Eixample is home to the high end / brand name stores on Passeig de Gracia. 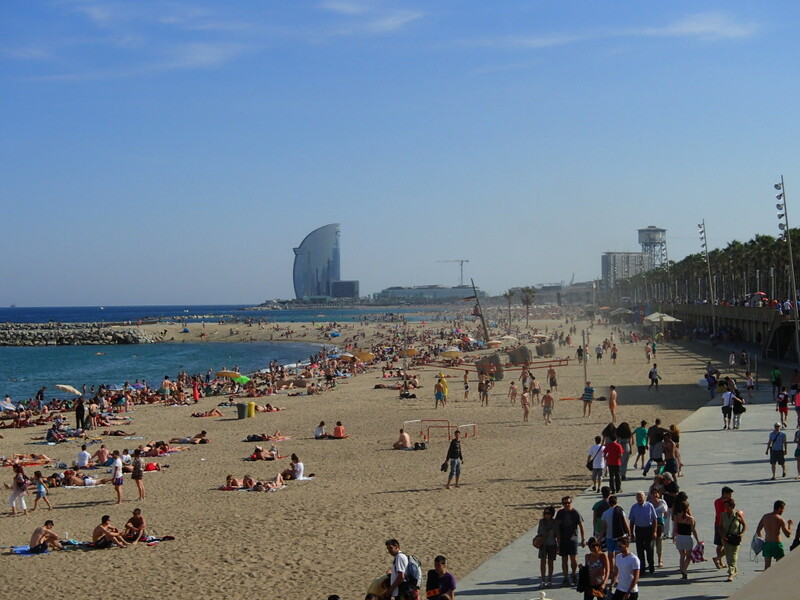 Barceloneta is the place to go for a beach fix – there are ten beaches in the city. Raval is one of the oldest parts of the city and it shows. We enjoyed wandering through the narrow streets in this gritty neighborhood because we like to see all sides of a city, not just the big grand buildings and boulevards. We found a cool local bar and hung out for a while before heading home. 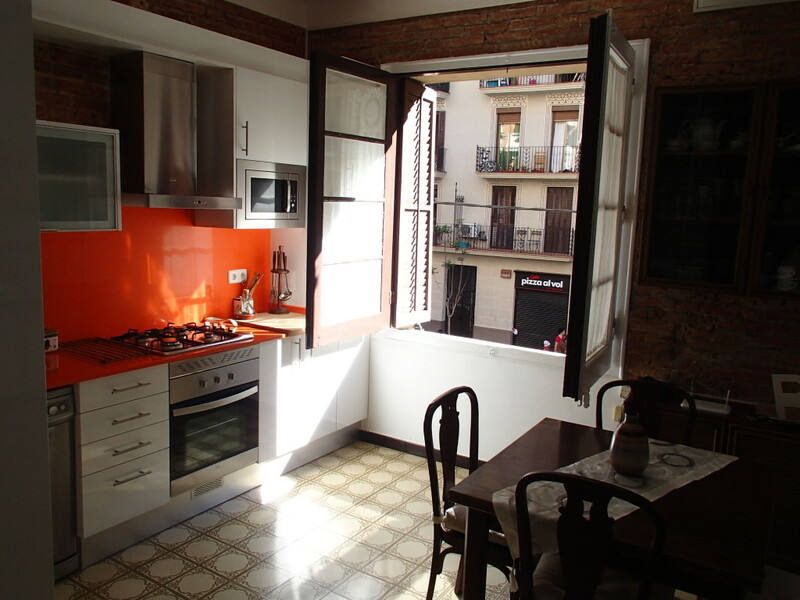 Barcelona Tourist Guide website gives a good description of El Raval. Our favorite part of town is the Born – also one of the older neighborhoods. This neighborhood is very popular with tourists due to the Picasso Museum, Santa Maria Del Mar church, unique shops, and cafes. In the Placa del Pi, there is a weekend art fair and farmers market. We found a few plazas to relax and people watch. A favorite was Plaça George Orwell in the Barrio Gotico. It is a bit run down, but has a lot of character and is a popular spot for families and dog owners. We stopped at Bahia to get a drink and watched a cute dog doing tricks to get a treat from his dad. Gaudi architecture is one of Barcelona’s most popular attractions. Our flat was on the same street as Sagrada Familia and we walked by it nearly every day. We visited Park Guell, Casa Batllo, Sagrada Familia, and popped by La Pedrera. See the blog post about Gaudi Architecture in Barcelona. 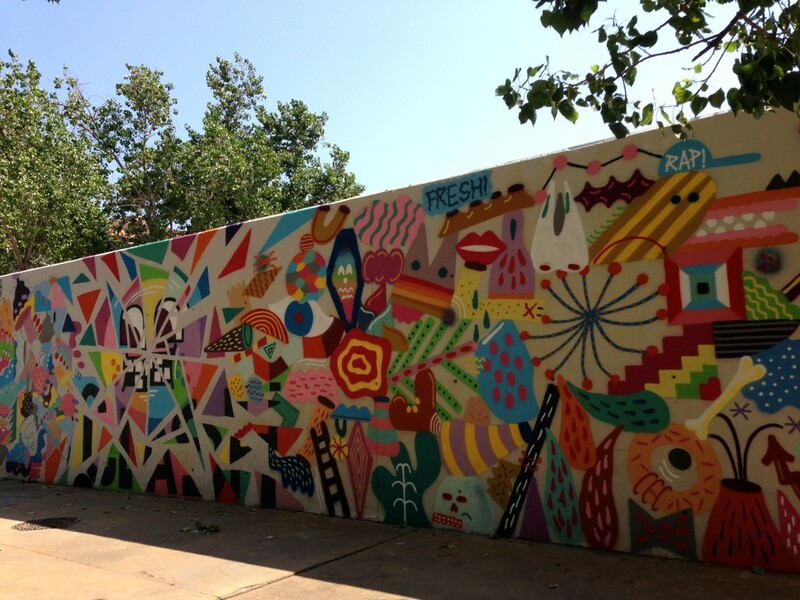 Barcelona is a great city for viewing free outdoor art. Some of the greatest spots are near the water in Barceloneta, Port Vell, and Port Olympic. There’s an impressive Roy Lichtenstein called Cap de Barcelona (Barcelona Head) near the Barceloneta metro stop. In Port Olympic, you’ll see the shining copper peix sculpture by Frank Gehry. 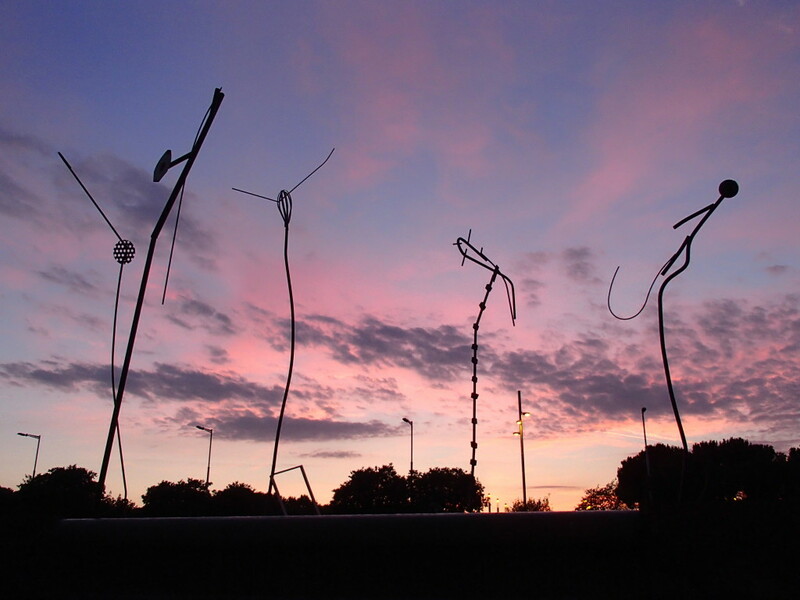 Go one street up from the beach and stroll down Passeig Maritim Nova Icaria toward Barceloneta and you will see several cool sculptures. Lori got into street art when we visited Berlin, so she often keeps an eye out for images painted on store shutters and building walls. There were many great finds in Barcelona. 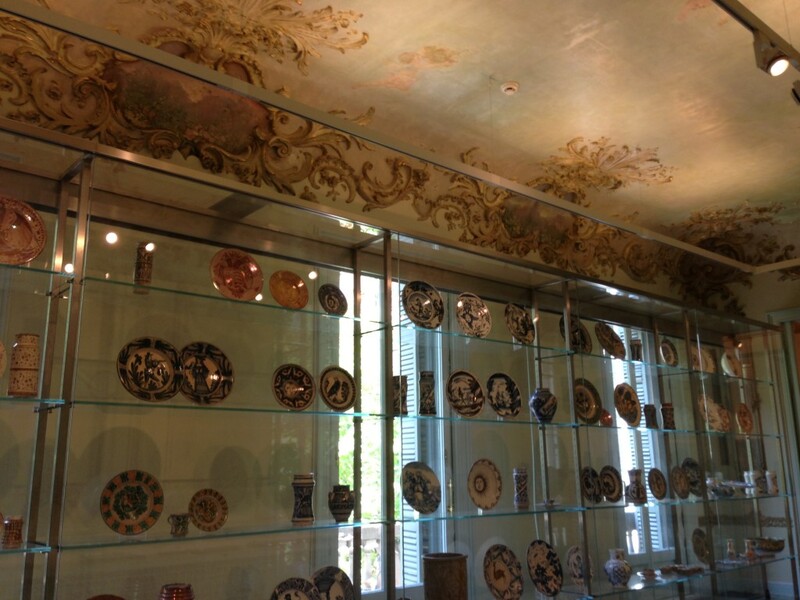 There are several well-known museums in Barcelona. The last time we were here, we went to Museu Nacional d’Art de Catalunya and Fundacio Joan Miro. This time, we decided to focus on the lesser known (and less crowded) museums and found some wonderful places to view art. We did try to see the Museu Picasso twice, but got turned off by the giant line to get in. If you like boating or the sea, or even if you don’t, the Museu Maritim is an interesting place to visit. See our blog post on the Museu Maritim. Inside this small space you will see gorgeous modernista furniture and art from Gaspar Homar, Joan Busquets, Antoni Gaudi, and more. 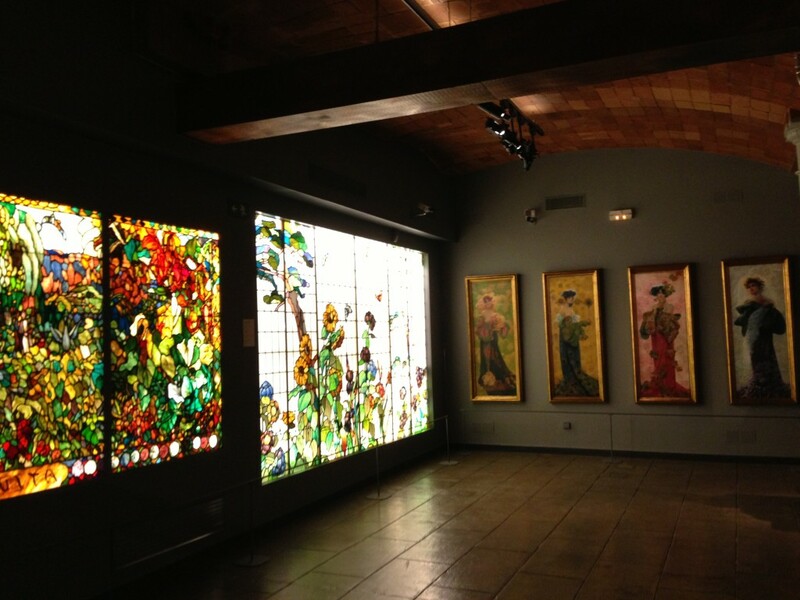 If you like this style of art, don’t miss the Museu del Modernisme. July is the month of rebaixes (sales) in Spain, which makes the stores packed with bargain-seekers. Many tourists head to the main shopping street Passeig de Gracia, a wide boulevard with beautiful buildings and international brand name stores. There is one spot with small boutiques, an indoor mini mall, Bulevard Rosa. At the end of the street in Placa Catalunya there is a giant department store, Corte Engles. If you like the Spanish brands Desigual and Camper, you will find their shops everywhere. There are also several Custo stores and outlets. The 40s music sets the perfect tone to browse vintage clothes, gadgets, and household items at Loisaida. Even if you don’t want to buy, it is a fun place to check out. Montfalcon has an awesome jewelry selection along with quirky art, bags, and gadgets (be sure to go upstairs to see the sale items). Mos has fun clothing – no website (Carrer Banys Nous near Placa de Sant Miguel). Custo has an outlet in Placa del Pi. Barcelona is in an ideal location for some fun day trips. The last time we were in town, we rented a car and went to Sitges and the Penedes wine region. This time, we went on three day trips – two by train and one by car: Girona, Cava, and the truffle region (well, this was an overnight trip). We liked the food scene in Madrid better, but Barcelona is also a great city for eating and drinking. 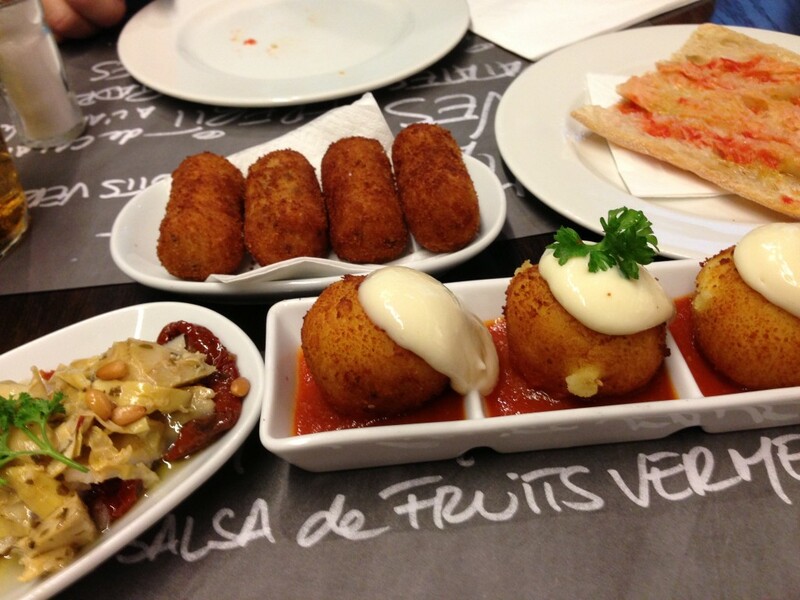 We didn’t go to any restaurants for full meals – we stuck to tapas. Here are some of the spots we liked. Hmmm – which one should I have? Bouqueria: A visit to Barcelona would not be complete without a stop at the Boqueria. This large outdoor market sells fresh produce, meat, fish, candy, spices, and more. 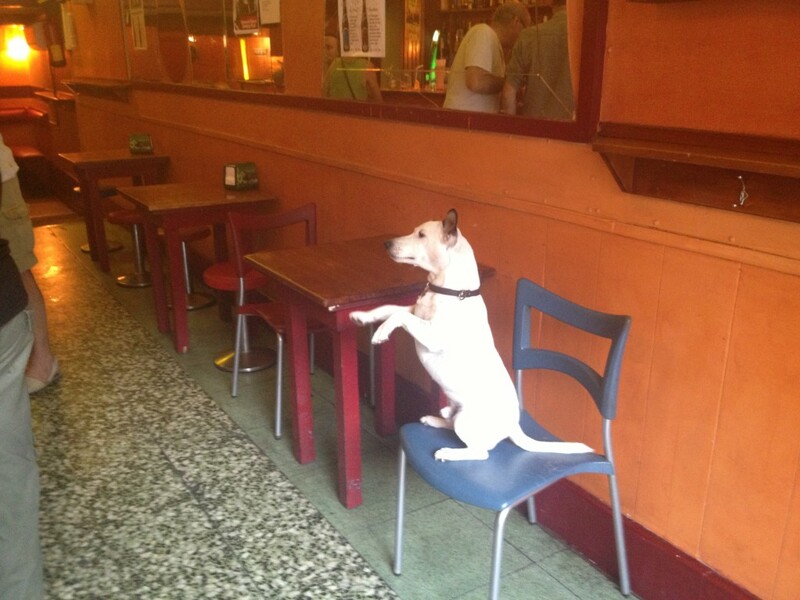 There are also a few tapas bars where you can grab a drink and snack. Go during the day because the market closes in the evening. Seaside bar hopping and people watching: Head over to Passeig Marítim in Barceloneta where you can relax with a cocktail beachside. Bestial makes a killer pitcher of white sangria with cava and tons of fresh fruit. Shoko is also a cool place to hang out. Many of the bars turn into nightclubs at night. Tapas: Lonja de Tapas has several locations in the Born neighborhood. Try the artichoke, sun dried tomato, and parmasean cheese; patatas bravas, and bomba. More tapas: Taller de Tapas is another nice tapas bar with several locations throughout the city. 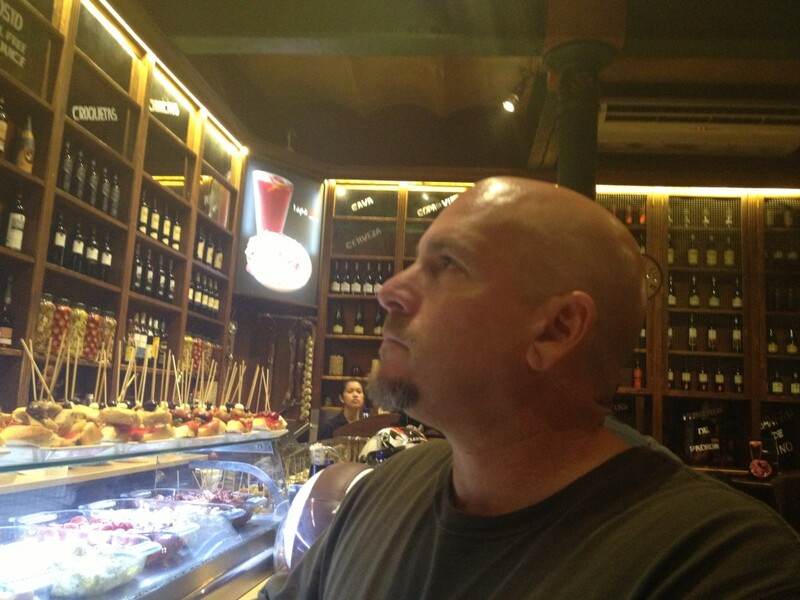 Sweets: If your blood sugar gets low while shopping on Passeig de Gracia, stop by Pastisseries Mauri or Cacao Sampaka. A little bit of everything: We stopped by Mercat Princesa to check it out on our last day in town. It’s too bad that we were not hungry at the time. This cute, cozy air con space has 16 food stalls with options ranging from Andalusian style dishes, Italian, Asian, pastries, and more; there’s also a wine bar. Quiet drink or meal: One day we were walking through the Born and got really thirsty. Right after we said to each other, let’s have a drink, a friendly guy handed us a flyer for My Way. So we said, sure – we’ll come by and he replied, wow it usually isn’t that easy. We turned right and walked down a narrow passageway to find a quiet, intimate restaurant with nice art and air con. We typically post reviews on Tripadvisor, but this flat is not listed on the site. We stayed for six weeks in late June – early July. There were some things we liked about the flat, but there were also several issues. There was a lot of room for two people to unpack and have space. We liked the exposed brick walls and modern kitchen. The living room/kitchen had a nice open plan with large doors that open to a small balcony overlooking the street. The wi fi was fast and reliable. There were many grocery stores nearby, and the metro was down the street. But… The street traffic in the front room was extremely loud – even with the windows are closed, so we couldn’t keep the doors open or enjoy the balcony. There was only one air con unit in the living room, so the bedrooms got hot and we ended up sleeping in the front room. The gas stove must be manually lit with a lighter or match. The large bathroom smelled terrible! It appeared that there was a sewer smell coming from the shower drain. The sink in the second bathroom was very small and hard to use without making a mess on the floor. The large bedroom does not have full privacy – the wall in the hallway is block glass (this was not an issue for us, but may be for some). The neighborhood is very crowded with large groups of tourists going to/from Sagrada Familia. Also note, when booking, you can pay the deposit by credit card, but the final payment must be made in cash. When to visit: In our opinion, the best times to visit Barcelona are Spring and Fall because the weather is nice and there are no summer crowds. 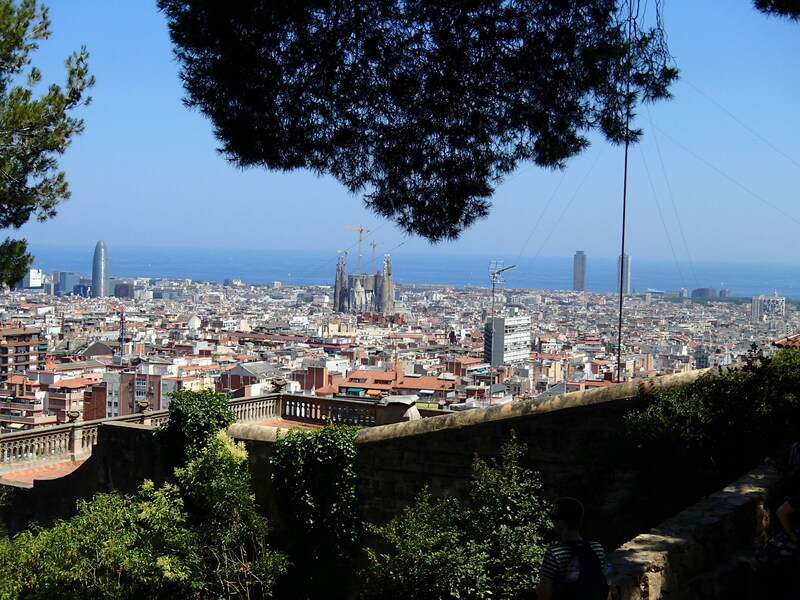 Tourist Crime: Barcelona has a very high tourist crime rate! Be very alert all the time – all the time! Hold your handbag and luggage in crowded areas – all the time. After getting robbed, we now lock our handbags with luggage locks every time we go on the metro. Save money on sightseeing: Depending on what you plan to see, the Barcelona Card may save you money. You can buy a two, three, four, or five day pass which includes free admission to some attractions, discounts to others, and public transportation. There are several places where you can buy a pass, like in the metro next to the ticket kiosks. Things you can skip: Las Ramblas is a popular, touristy street that runs from Placa Catalunya to the waterfront. There’s nothing here that you can’t see in other spots, except for the street performers who pose as statues. It is a very touristy area and the restaurants and bars are over-priced. It is also a prime setting to get robbed by a pickpocket. We had high hopes for the Aquarium because it has sharks and the Oceanarium which you see by walking through an 80-meter long transparent tunnel. It all sounded cool, but the exhibits were not very diverse and it was really crowded. The Cape Town aquarium was much better.